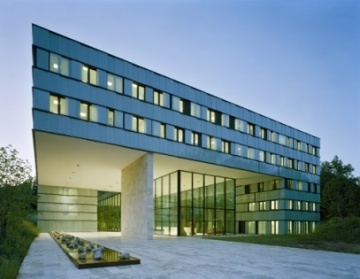 One key part of IDPC’s mission is to directly influence – and support our members to engage with – the debates and decision-making processes at the global level, particularly at the United Nations and other multilateral agencies. 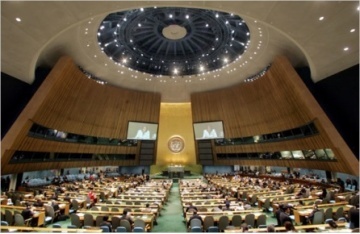 IDPC’s global advocacy work is currently focused on the UN General Assembly Special Session (UNGASS) on drugs, which will be held in the summer of 2016. We aim to raise awareness among governments and UN agencies, and to inform their positions through meetings, dialogues and media engagement. We are also collaborating with the Vienna NGO Committee on Drugs (VNGOC) and the New York NGO Committee on Drugs (NYNGOC) to ensure that civil society is adequately engaged in the UNGASS process. The GA is the primary deliberative, policy-making and representative organ of the UN system, where all 193 member states come together to discuss the entire spectrum of international issues covered by the UN Charter. All member states possess equal status and voting rights within the GA, which oversees the UN’s budget, appoints non-permanent members to the Security Council, receives reports from other UN bodies, and makes recommendations in the form of General Assembly resolutions. GA meetings take place in New York each year, between September and December. At the request of member states, the GA also convenes ‘Special Sessions’ on issues of concern, as will be the case in 2016 when the General Assembly will host a special session (UNGASS) on drugs. ECOSOC is the principal organ coordinating the economic, social and other related work of the UN. 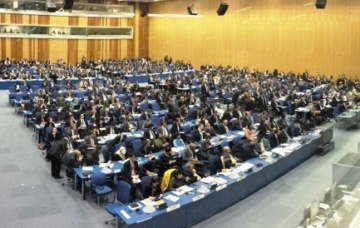 It oversees the relevant UN agencies and commissions, including the Commission on Narcotic Drugs (CND) whose reports and resolutions it formally adopts each year. ECOSOC is the central forum for discussions and the formulation of policy recommendations on economic and social issues. ECOSOC has 54 members, all of whom are elected by the General Assembly for a three-year term. An ECOSOC President is elected each year from the small or mid-ranking nations represented on the Council. ECOSOC meets once a year in July for a four-week session, alternating between New York and Geneva. ECOSOC also holds regular meetings throughout the year with prominent academics, business sector representatives and registered NGOs. The CND is the central policy-making body for the UN drug control system. It is comprised of 53 UN member states, elected by ECOSOC to ensure geographical representation, although other countries can attend as observers. At the CND, member states discuss the global drug situation and adopt a series of resolutions on related issues. The CND is also the final decision maker on proposals by the World Health Organisation to schedule, de-schedule or re-schedule a substance. 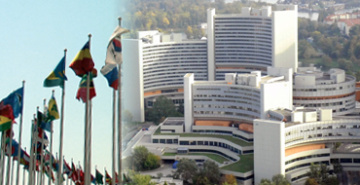 CND also oversees the UN Office on Drugs and Crime (UNODC). UNODC is the UN agency responsible for coordinating international drug control activities. It was established in 1997 through a merger between the UN Drug Control Programme and the Centre for International Crime Prevention. UNODC has a three-pillar work programme focusing on research and analytical work, guidance to member states, and field-based projects. The INCB was created by the international drug conventions, and plays the role of independent monitor for the international drug control system. It comprises 13 individual members serving in their personal capacity. 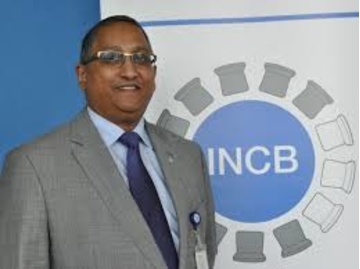 The INCB ensures adequate global supply of controlled drugs for scientific and medical purposes; helps prevent the diversion of controlled drugs and precursor chemicals into illicit markets; identifies weaknesses in drug control systems; and maintains dialogue with governments to assist them in complying with their obligations. 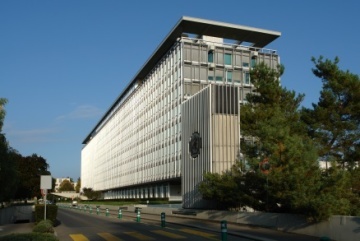 WHO is the UN agency specialising in international public health, and is headquartered in Geneva with regional and national offices across the world. Its priorities include communicable diseases (such as HIV), non-communicable diseases, sexual and reproductive health, aging, nutrition and food security, occupational health, and health systems. In the international drug conventions, WHO is charged with the scientific and medical review of proposals to schedule a substance – via its Expert Committee on Drug Dependence (ECDD). However, in recent decades, it has faced a shortage of funding and resources to fulfil this role properly. UNAIDS is not a drug control body, but it has a key relationship with the global drugs issue. UNODC and WHO are among the co-sponsors of UNAIDS, with UNODC taking the leading role in the UNAIDS response to HIV among people who use drugs and people living with HIV in prison. To realistically address HIV, it is vital that drug control policies are aligned with the work and objectives of UNAIDS. The global drug control system was inspired by the realisation that no country could regulate drug use in isolation, since these substances were so readily bought and sold across borders and jurisdictions. Effective control would require states to work together as an international community. The overall objective of these conventions remains the same as their predecessors from a century ago – to limit the production, distribution and use of drugs to scientific and medical purposes. However, despite the conventions being concerned with the “health and welfare of mankind”, the overwhelming focus has been placed on the strict control of drugs and on repressive law enforcement measures, while the provision of drugs for medical and scientific uses has been neglected or obstructed. As a result, much of the world population goes without adequate pain relief. Nearly all governments have signed up to these three drug control treaties, which have been viewed for many years as exemplifying the spirit of international consensus and cooperation on this issue. Recently, however, there has been a growing realisation that the system is far from perfect, and needs to be fundamentally reviewed.